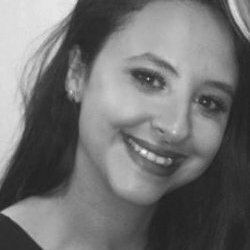 Moving from the Middle East to the UK at a very young age and having experienced adversity growing up, Emma channelled those experiences into her professional work. Moving swiftly up the ranks of the firm FinanceInterns, Emma’s passion for spreading the message of equality for all young people saw her play a proactive role in opening doors to many students wishing to gain a foot on the finance career ladder. Excited to further develop her communications, media and PR skill set , she was soon taken under the wing of entrepreneur and PR expert, Jessica Huie MBE. As part of JHPR, Emma worked on a range of clients; from personalities, to corporates, to brands, pushing the stories of inspirational businesses and their successful founders out into the public domain. She was involved in high profile projects such as Band Aid 30, and plays an integral role in leading talent management agency Kruger Cowne’s Rising Star Programme. An initiative that lends a voice to young people, her work with this campaign has seen her champion young leaders and strive for a platform for the youth to engage in discussion around some of the world’s most pressing issues.